Do you own Farmland, Forest Land or Open Space? 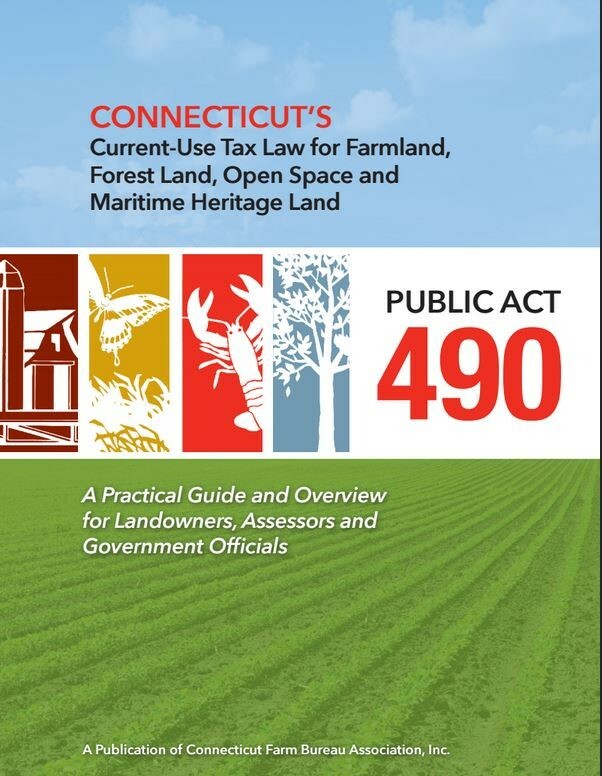 Public Act 490 is Connecticut’s Current-Use Tax Law for Farmland, Forest Land and Open Space Land–one of the most important laws to help preserve an agricultural, forest, and natural resource land base in Connecticut. For more than 30 years Connecticut Farm Bureau Association has published and distributed a “PA 490 Guide,” a practical guide that provides an overview of PA 490 for landowners, assessors, government officials, and others wanting to understand how this law is applied. The 2015 PA 490 Guide is funded in part by matching funds from the Connecticut Department of Agriculture through the Community Investment Act PA 05-228.